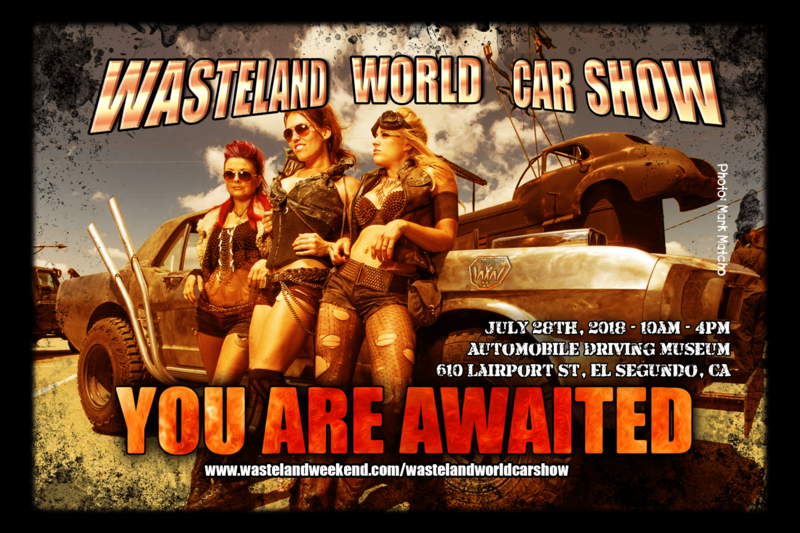 The return of The Wasteland World Car Show! 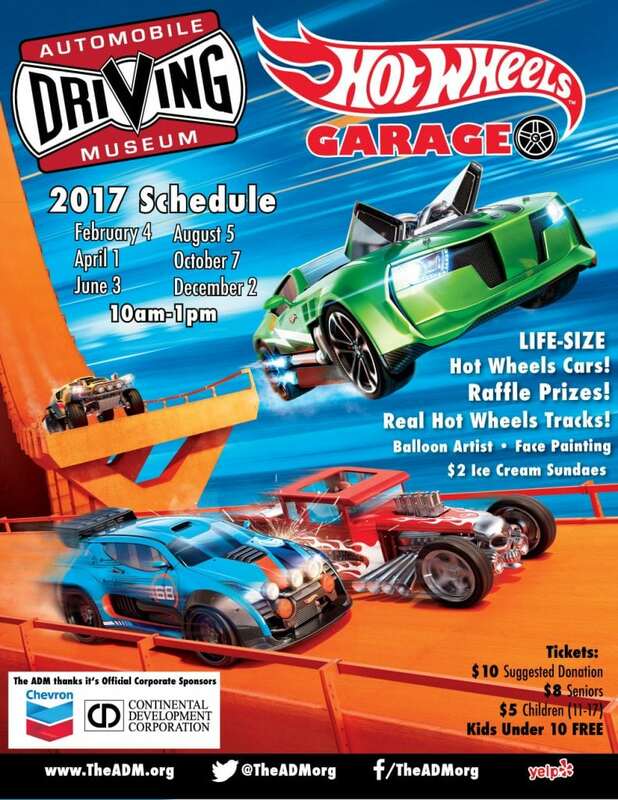 At the Automobile Driving Museum in El Segundo. 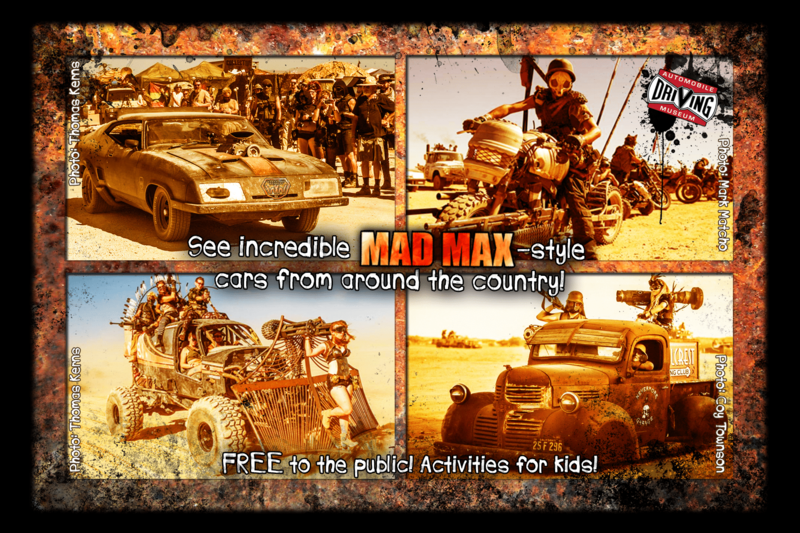 Hundreds of amazing and creative cars come out to the Mojave desert every September for our event, and the Wasteland World Car Show is when we get to show them off to the public. 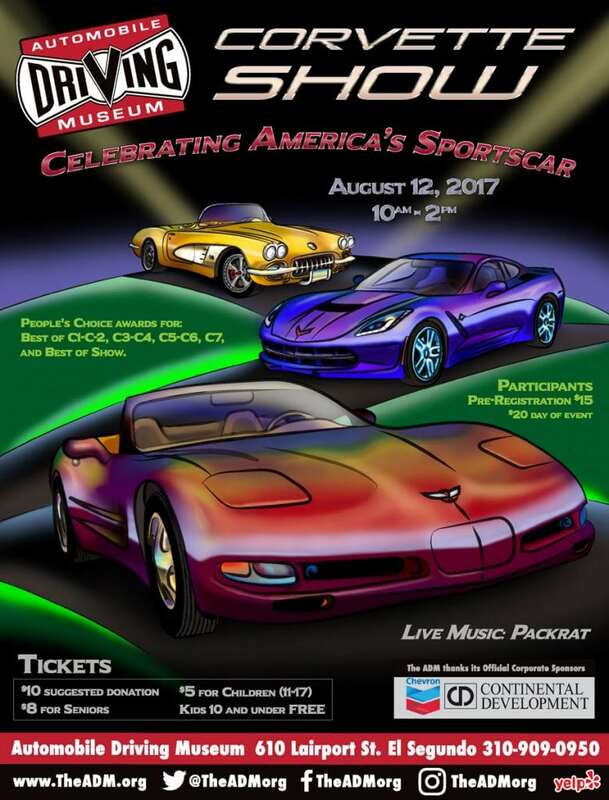 The museum will also be open (for an admission fee) and you can see their beautiful collection of cars from various eras. Plenty of free parking on the surrounding streets. COME OUT IN A WASTELAND COSTUME! Unlike some car shows, most of these car owners welcome you to pose all over (and even INSIDE) their cars! (there’s less concern about scratching the paint when a car is already covered in dented/rusted metal!) – just be sure to ask first! We should have plenty of pro photographers on hand as well. Costumes are NOT required, but they are encouraged! 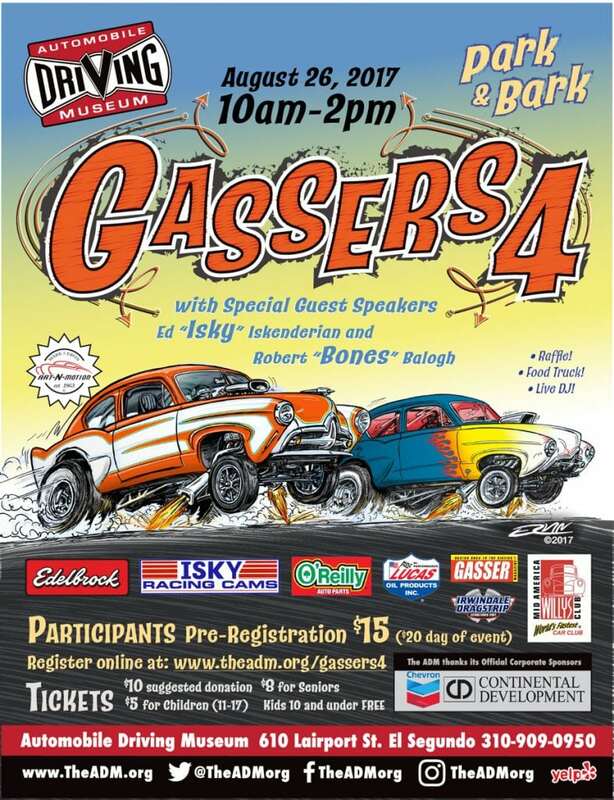 You can show off your car and be eligible to win cool custom trophies and ribbons in a variety of categories. Scroll down this page for more info.